Move In Ready! Love the Space Offered in this Brick 2 Story! Huge Bedrooms! 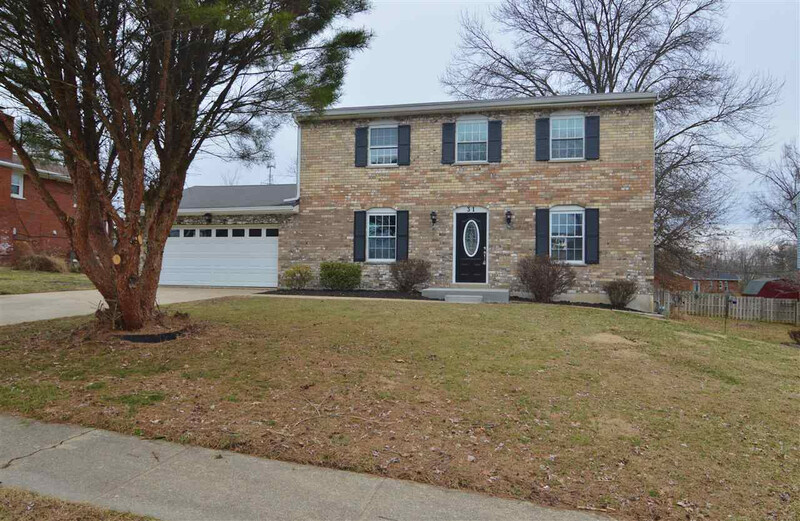 Large Great Rm w. Dining Area on 1st Floor*Gathering Room off Kitchen*White Cabinets with New Appliances*Finished Lower Level with Family/Rec Rm & Study*Plush New Carpet*All New Paint*Barnwood Look Laminiate Flooring*Huge Master with Adjoining Bath & 2 Closets! New Lighting & Fixtures! Oversized 2 Car Garage w. Built-In Cabinets/Storage*Nice Yard! Great Location Minutes to Florence Shopping/Dining! One Year Home Warranty Included for New Owner! Lots of the Home for the $$$! Great for the Welcome Home Grant Money!